The Great War--more commonly known as World War I--is a war that lives in anonymity. Everyone has at least heard of it, or they at least assume it exists since there was a World War II, but few people know much about it. Most United States and European history courses quickly pass over the Great War in order to reach World War II, which is much more popular and is widely assumed to be considerably more important. World War I saw the birth of many military tactics that were unheard of and would have shocked earlier civilizations. 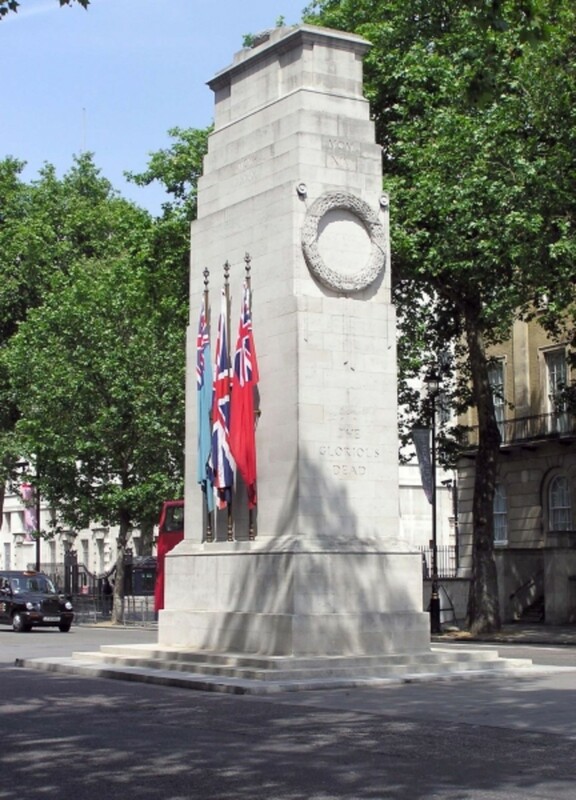 Strategies such as the deliberate targeting and genocide of civilians, chemical weapons, and biological warfare were unheard of during the modern age, prior to the advent of hostilities in World War I. As terrifying as World War II must have been to endure, that conflict only built upon the foundation that the Great War created. In the twenty-first century, it is sadly commonplace to hear of an army deliberately targeting civilians. Whether a foreign army is attacking the very civilians it swore to protect under the pretense of civil war, or one's own government is allowing the murder of civilians because they are "collateral damage" in a war that he may or may not consider to be worthwhile, most people are not shocked when they hear that a civilian has died in a military conflict. Indeed, researchers conservatively estimate that over 225,000 civilians died in one of the most famous military operations in history--the United States dropping atomic bombs on Japan during World War II. However, widespread civilian genocide had not been an acceptable military tactic since before the dawn of Christendom. Throughout the Middle Ages, theologians and philosophers had developed "Just War Theory," a rubric for judging whether or not a war was just. First proposed by Augustine, this system helped to reduce the carnage of war by forcing rulers to justify their aggressive actions against other kingdoms. Though this system was far from perfect, it codified a number of generally agreed-upon rules of warfare, of which perhaps the most important was that warfare must only involve soldiers. 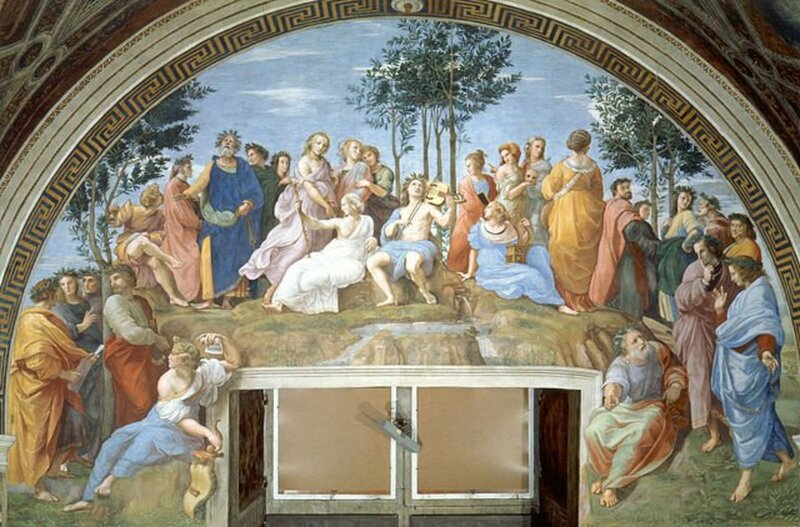 Augustine argued that every precaution must be taken to ensure that civilians are not needlessly massacred in a squabble between nations. Though this rule was not always adhered to, it was a guiding rubric for the comparatively genteel wars of the Middle Ages and early modernity. "Men must die in order that we may set them free." However, this began to change with the advent and in the wake of the French Revolution. Beginning with Jean-Paul Marat and Maximilien Robespierre, the Jacobins massacred anyone who did not support their bloody revolution. As Marat stated, "Men must die in order that we may set them free." The French Revolution ultimately did not turn out as planned, but that did not prevent future revolutionaries from following the same course. 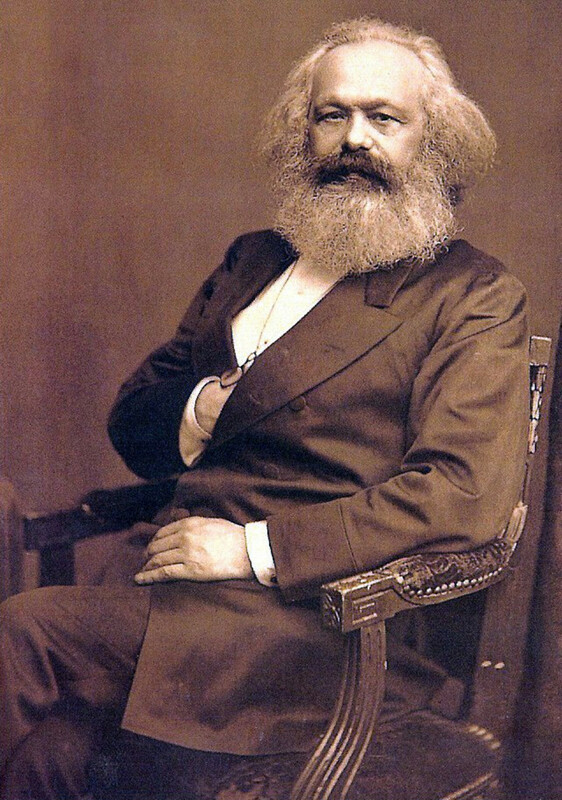 Karl Marx believed that just wars hindered the progress of the proletariat. March in the shadow of the great Robespierre. Let blood drip from our hands. Let blood flow through the streets and victory shall be ours. Overthrow the perverse dominion of Christendom’s just wars and chivalries. To realize their ends, they would have to overthrow Christendom. To overthrow Christendom, they had to abolish the idea of a just war, and along with it, the idea that civilians were exempt from war's bloodshed. The genocide of civilians during warfare was also advanced by the prevailing ideology of nationalism, which began to permeate the European mindset throughout the latter half of the second millennium. As people began to find their identity first and foremost in their national heritage, warfare changed. People no longer viewed a military conflict as a conflict merely between two opposing armies; instead, they viewed war as a conflict between two entire nations--including their citizens. In the eyes of military leaders, citizens were no longer unwitting bystanders. By producing food or materials that could be used by the army, citizens themselves became active participants in the fight. Moreover, technological innovations such as flight and weapons with increased damage potential made it easier to kill mass amounts of people. However, using weapons with a large damage radius also increased the potential for civilian casualties. This presented a moral conundrum. However, because military leaders increasingly viewed civilians as a subset of "the enemy," their consciences were assuaged. 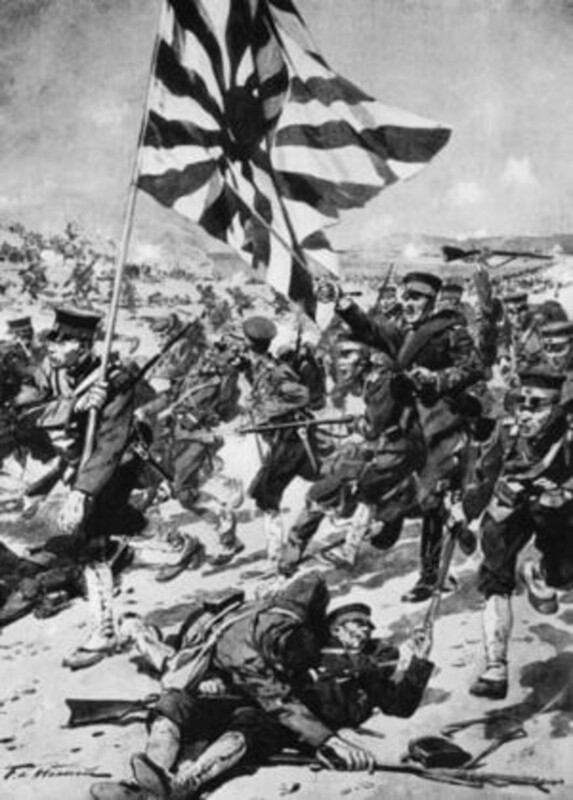 As a result, historians estimate that as many as 260,000 civilians died during World War I, and thousands more suffered gruesome injuries, a large portion of which were a result of chemical warfare. The history of chemical weapons stems back to ancient times, when soldiers would sometimes coat their spears and arrowheads with poison. During the medieval period, some armies occasionally experimented with throwing lime at the enemy to blind them, but they found that their own soldiers suffered nearly as many casualties as the enemy. Overall, however, chemical warfare was never utilized on a large scale prior twentieth century, and when it was used, it was directed only at enemy combatants. This changed in the twentieth century. In the years leading up to the outbreak of war in 1914, scientists had made numerous advances in the field of chemistry. It was only a matter of time until governments began to use those advances to their advantage on the battlefield, in spite of the fact that most of the major world powers had agreed at the Hague Convention of 1899 to refrain from using them. Once the Great War began, the Hague Convention was forgotten. 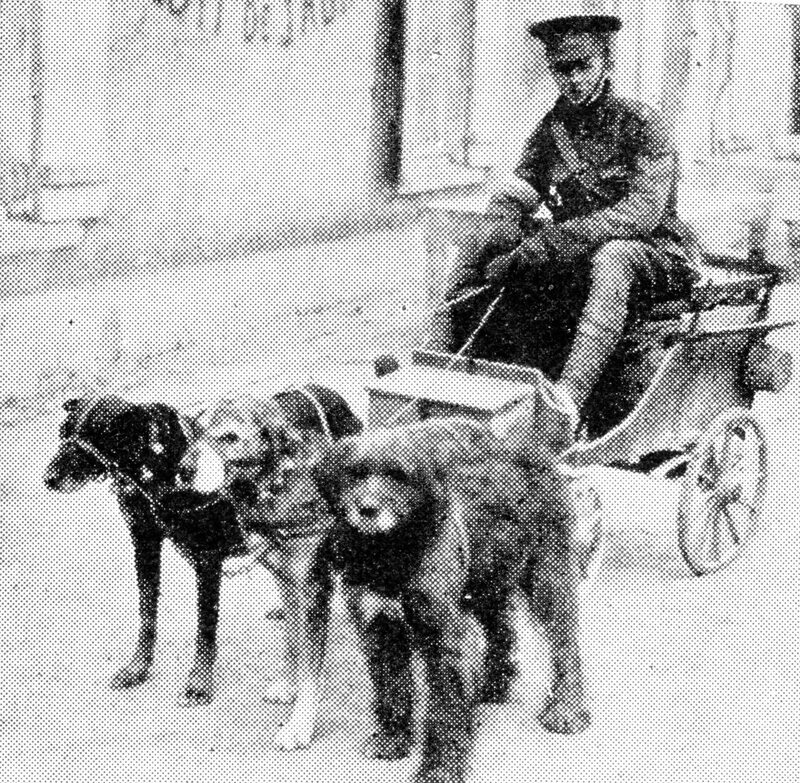 France was the first to use chemical weapons, deploying tear gas against the Central powers. However, their use of chemical warfare paled in comparison to that of Germany, who had been preparing for war for over a decade and had large stockpiles of chemical weapons waiting for action. Germany's most notorious weapons came in the form of canisters filled with poisonous gases such as mustard, chlorine or sulfur gas. 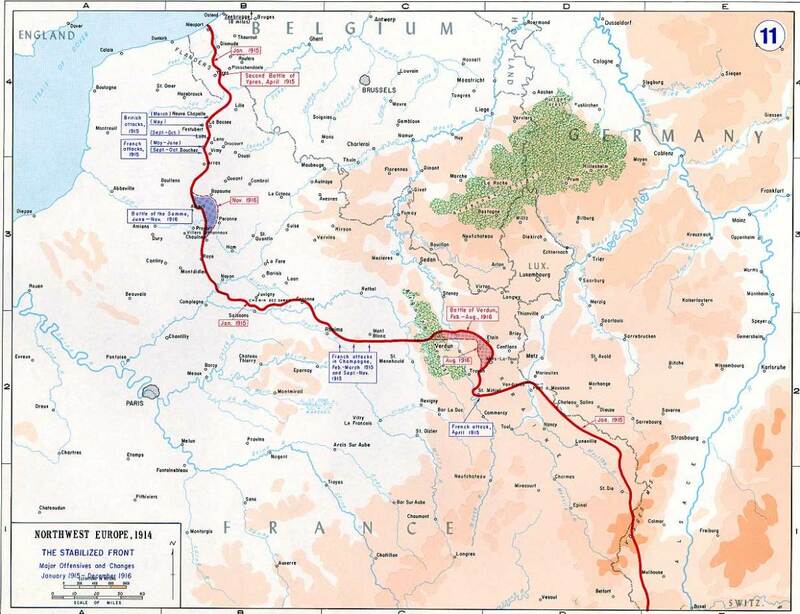 The German army would release the gas into the wind, which would blow it into the enemy trench. To inflict maximum casualties, the Germans would often wait until the dead of night--when it was impossible to see and the enemy's guard was down--to release the gas. The gas was a silent killer. 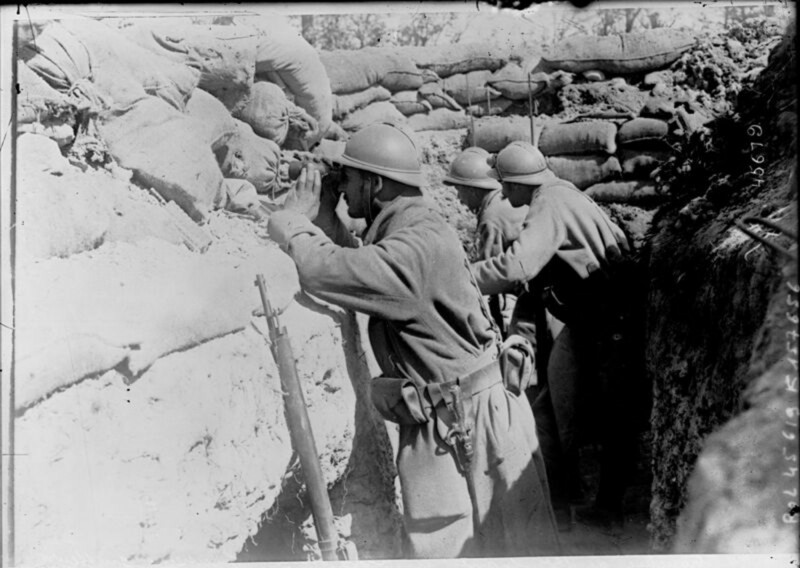 Soldiers who had been sleeping in the trenches would wake up to searing pain and the sounds of their comrades crying in agony. 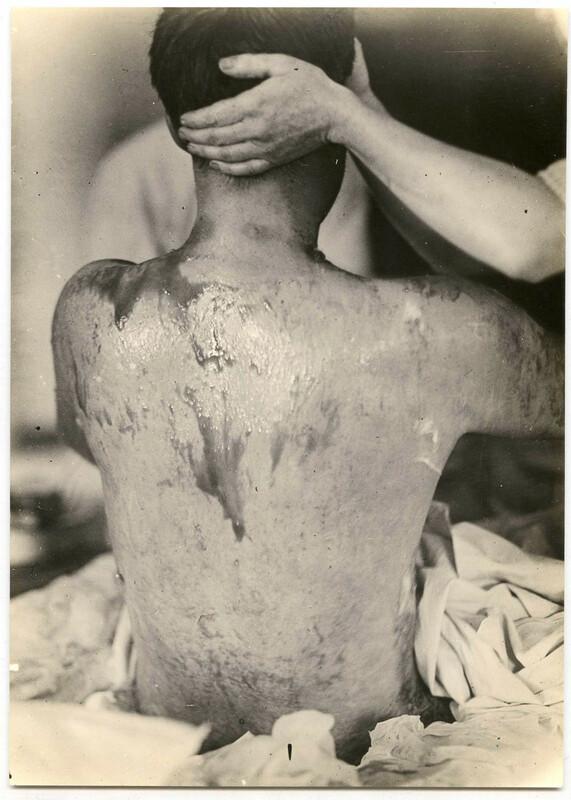 The gas burned their skin, leaving boils on every inch of the skin that it touched, and it was capable of permanently blinding a person if it came into contact with his eyes. Later on, soldiers tried to protect themselves with primitive gas masks and gloves. However, many soldiers put these on incorrectly during the panic of a gas attack, which left the gas an opportunity to seep into the mask. These weapons struck pure terror into the hearts of soldiers, many of whom suffered from paralyzing nightmares about gas attacks for the remainder of their lives. Adolf Hitler--himself a young Austrian corporal during World War I--experienced this terror first hand when, following a gas deployment by the Central army, the wind changed, blowing the gas back in his face. Though he was not permanently blinded, the memory of the experience caused him to refrain from letting his army use chemical weapons during World War II. Aside from the psychological effects, victims of gas attacks often had long-term injuries. 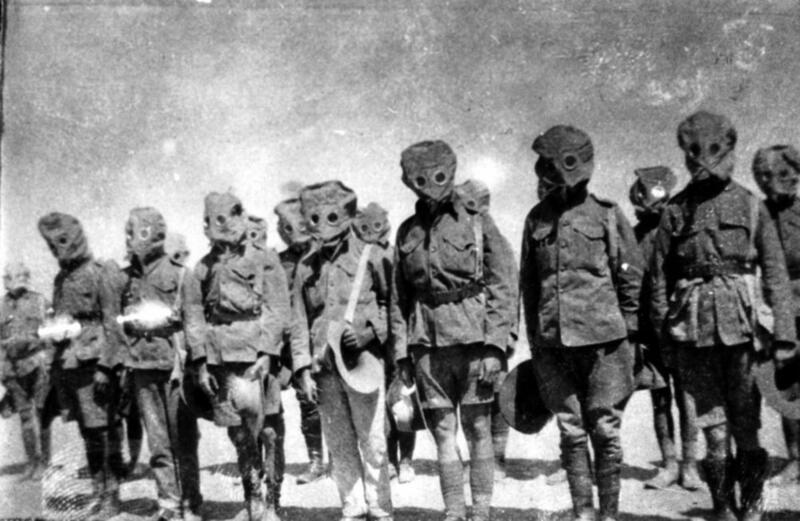 Historians estimate that as many as 4 million people were permanently blinded in World War I due to chemical weapons. 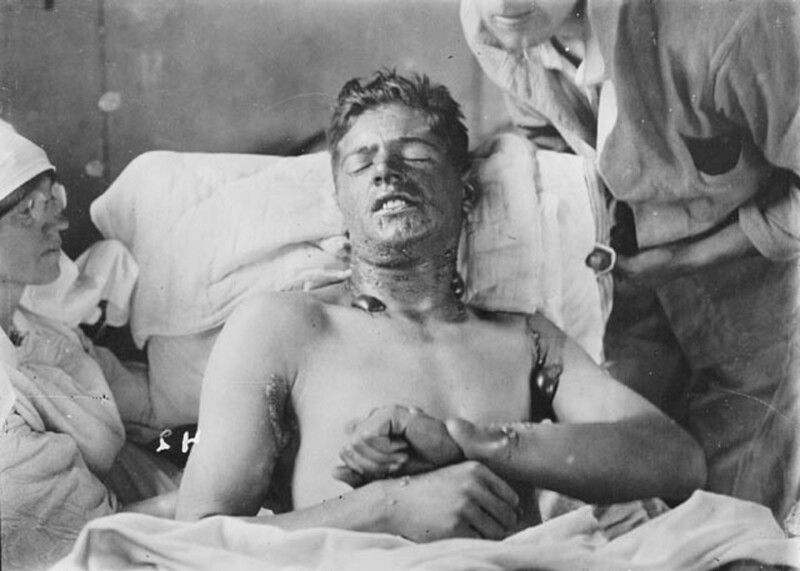 A World War I Canadian soldier being treated for burns caused by poisonous gas. As reprehensible as it seems to deploy such gruesome forms of chemical weapons on enemy combatants, soldiers were not the only ones who suffered from chemical warfare. The wind frequently changed in the midst of a gas attack, which far too often would blow the poisonous gas toward a nearby town. Unlike the soldiers, civilians had no access to gas masks, and they rarely had advance warning that the outside air was lethal. When gas was blown toward a village, civilian casualties were always high. In addition to chemical warfare, the Germans also experimented with biological weapons, which would allow them to kill the enemy without risking their own soldiers. One particularly gruesome tactic that the Germans employed involved injecting deadly viruses into rats, who were then taken to the German trenches. Soldiers would launch thousands of pellets of rotten cheese into the allied trenches--often in the middle of the night--and then release hundreds of rats into the neutral zone between the two trenches. The rats, smelling the cheese, would rush at the unaware French, Russian, or British soldiers and bite anything that smelled of the putrid odor. Some soldiers died from being overrun by rats; however, hundreds others died a far more painful death. If a soldier was bit, he often contracted a deadly virus that caused their body to swell up with painful blisters and their tongues to turn black. After days of agonizing pain, the incurable disease would finally kill them. What Type of World War I Weapon Scares You the Most? Even today, the weapons utilized in World War I sound unsettling. To the soldiers and civilians who experienced them firsthand, they were utterly terrifying. 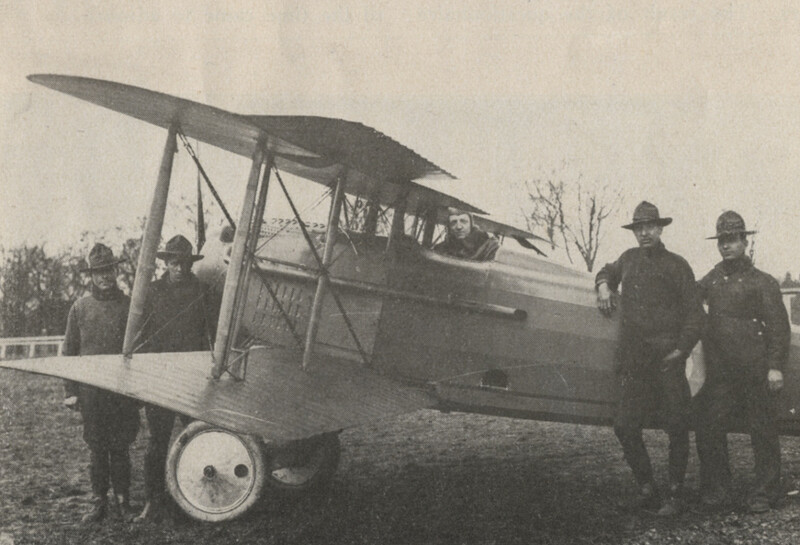 In addition to conventional military tactics, World War I armies employed chemical and biological weapons, which far too often resulted in civilian casualties in addition to those of the soldiers. Soldiers had enlisted in the army expecting to face the dangers of bullets and bombs, but they had no idea that they would experience the pure terror of a biological weapon or a gas attack. Over 16 million people died in the conflict, and many of those lucky enough to survive suffered from serious physical or psychological injuries for years. Nearly half of French men aged 17-35 died during the war, and large percentages of students from Europe's finest universities left for war and never returned. Though historians and the general public devote far more attention to World War II, the Great War deserves its place among the most terrifying and shocking wars in human history. Each of the original English colonies in the New World was founded with a distinct purpose. This purpose shaped the colony’s government, its economy, and even the settlers that it attracted. The Salem witch trials have fascinated historians for centuries, largely because of their bizarre nature and the great uncertainty that surrounds them. One theory is that poisoned crops caused the girls to go mad. Could this be true? Adolf Hitler is one history's most notorious figures. 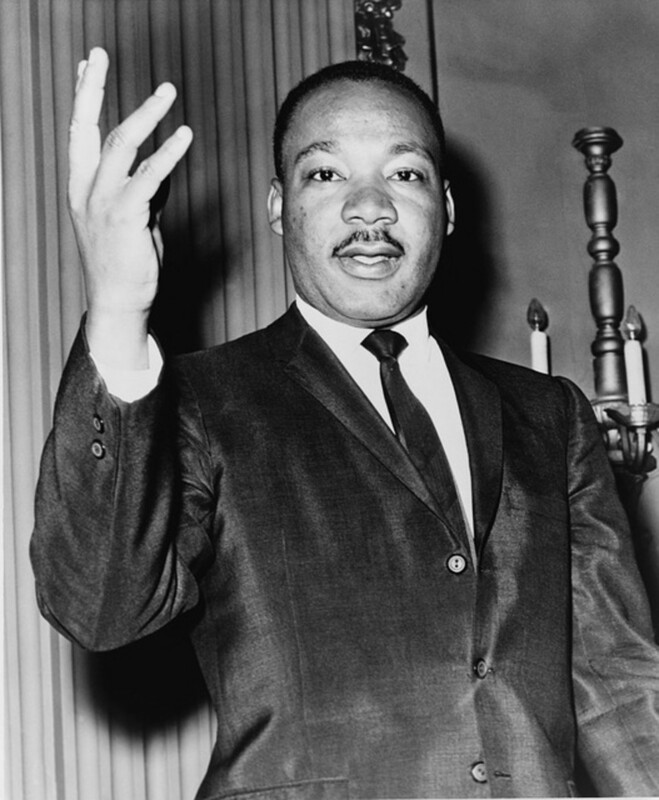 Throughout his reign, he committed scores of human rights atrocities. How did he convince his countrymen to follow him down this path? Great hub. We should never forget what happened a century ago. Over the next few years, as we reach various anniversaries of battles like the Somme and Verdun, I hope it will serve as a reminder of the futility of war. Voted up.